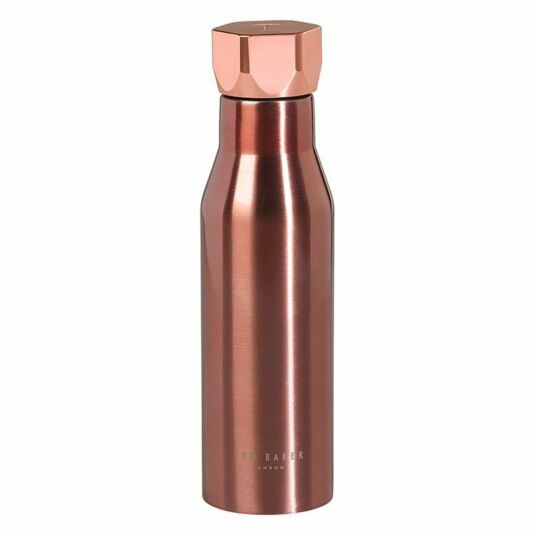 Drink in elegant style with this rose-gold coloured water bottle for her from Ted Baker. The beautiful shimmering metal gives off delightful wavelengths of light and this makes it perfect for the gal on the go. The bottle is double-insulated and this makes it suitable for both hot and cold drinks. 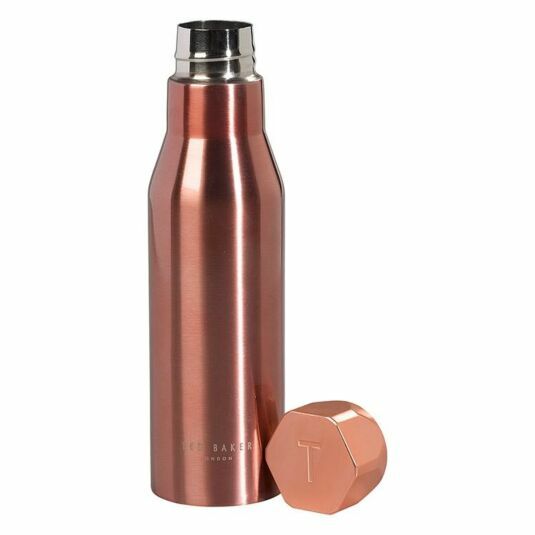 The hexagonal rose gold leak-proof lid ensures that your drinks are kept safe and secure. 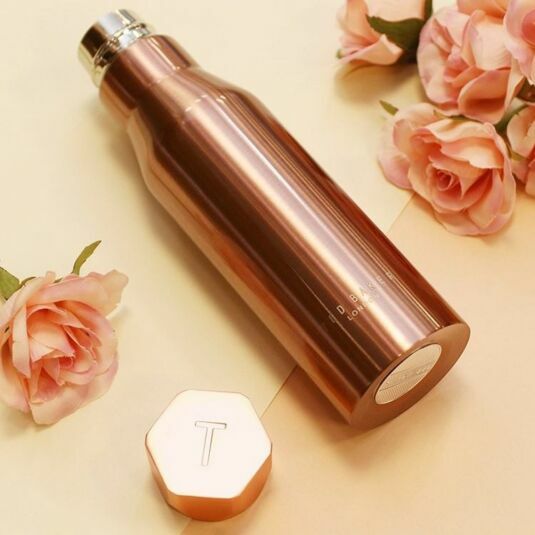 The rose-gold finish is really something to behold and the Ted Baker laser-etched logo complements this perfectly. With a capacity of 500ml, it is perfect for the traveling women, and makes an amazing gift for sister, mother, or wife! Founded in 1988, Ted Baker has become one of the fastest growing leading lifestyle brands in the United Kingdom. An iconic representation of British fashion, Ted Baker offers a range of fashionable clothing and accessories that is full of personality, premium quality, and class.